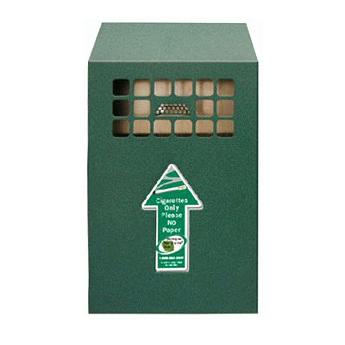 Stainless steel outdoor ashtrays guaranteed for life against corrosion and lock failure. 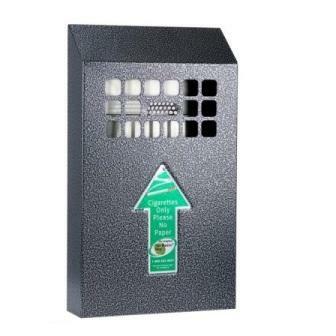 The No Butts wall-mounted receptacle the most popular product in our range. It fixes easily to a wall and can be placed next to entrances or smoker's corners. The sloping top discourages litter and reduces cleaning. 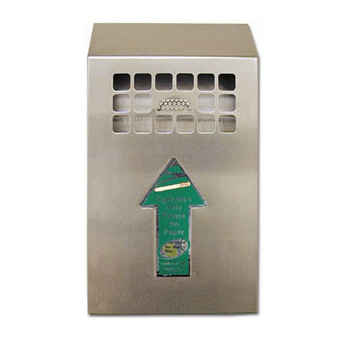 Our bin's unique and patented baffle system reduces oxygen supply to discarded butts thus reducing smoldering smoke and preventing fires.